The ruling council in Zurich stated that parents of children who were not baptised would lose their rights of citizenship and be put to hard labor. Wilhelm and the other Radicals, or Anabaptists as they were called, were considered criminals because rebaptism as an adult was a crime. Since they did not believe in infant baptism and would only baptize adults, it was believed they were committing treason. 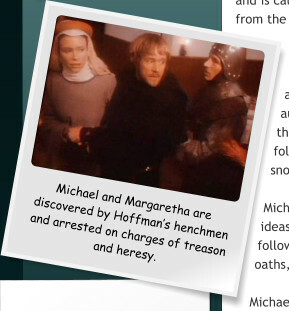 Michael has become a torn man over what he believes to be the wrongs of the church, especially after his discussion with Hoffman about not taxing the peasants so heavily, and Margaretha scolding him because she spends hours feeding them soup and bread because they are all starving. When Hoffman has a local Printer burned alive on his printing press for distributing religious tracks that read “Ye shall know the truth, and the truth shall set you free,” it is the last straw for Michael. He believes the tracks are nothing more than the truth while Hoffman has said they are heresy and treason. He decides to leave the church to pursue the freedom and peace that has eluded him. 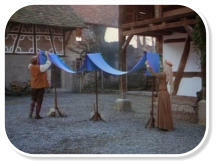 He asks Margaretha, a nun he has known for several years, to go with him. After they are married they become weavers. 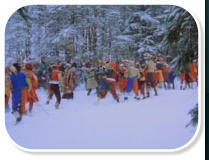 They arrive in their new town and meet Wilhelm who asks them to join his church. 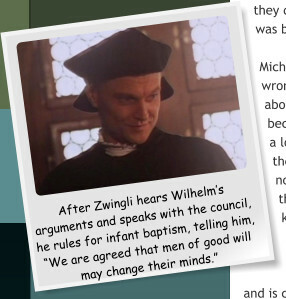 Michael agrees to attend a meeting, but is imprisoned by Zwingli first, and is cautioned about associating with Wilhelm because he is considered an outlaw and has been banished from the region. 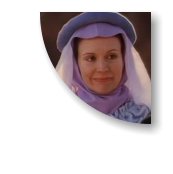 Margaretha is cautious about Wilhelm as he seems to have few answers for her questions. It is not the first time Wilhelm has slipped through the net and escaped detection or capture. He is quick to lead men into conflict, but hides behind walls when the actual fighting occurs or slips away under cover when the authorities come to arrest his followers. This is clearly evident when the Catholics and Protestants meet in battle. Many of Wilhelm’s followers are injured or killed, but he hides behind the trees and a snow bank until the fighting is over and then runs away. Michael’s ideas then form for his own church. Using some of Wilhelm’s ideas and a lot of his own, he becomes a natural leader of a group of followers who do not believe in infant baptism, or many other practices of the church, such as swearing oaths, or taking up the sword. Michael and several others meet in Switzerland where he chairs a meeting and is the author of the “Schleitheim Confession,” consisting of seven articles of faith they believe to be true to the teachings of Christ. They are hunted down by the Catholic church and charged with heresy and treason. After Michael stands trial, he is burned at the stake and Margaretha is drowned. Wilhelm had escaped arrest one more time when Hoffman’s henchmen came after the Anabaptists. He later renounces his beliefs and becomes a rich and powerful man within the Catholic Church. 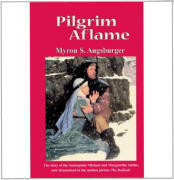 The book, Pilgrim Aflame by Myron S. Augsburger, on which this movie was based, is available from Amazon. Some of the Flash galleries are large files so please be patient while they load.